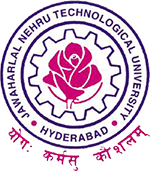 JNTU Hyderaad has announced M.Pharmacy I,II,III Semester (R09,R13,R15) Regular/Supplementary Examinations Results February 2016 on 3rd may 2016 at jntuh official results portal. hello raj, this is not official website, you can check your results at university official website or respective college. We are not responsible for this.